There’s is just something about a mason jar full of lemonade that gets me so excited! I can’t think of anything that shouts SUMMER more than lemonade. I can remember hauling a table and chairs with the neighborhood kids, to the end of the street in the dead of the afternoon heat, to sell our lemonade. I’m pretty sure we charged a quarter a cup. 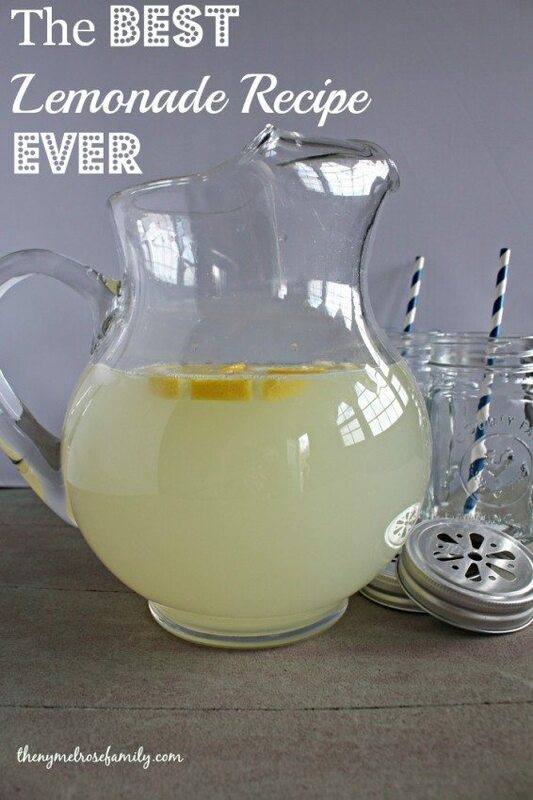 With this lemonade recipe we could have easily charged a dollar. Even back then! Sounds delicious! I love lemonade. I absolutely love lemonade! I am pinning this…I’ll definitely try making it. Yummy! Pinning to try your version….looks so refreshing and pretty:) Stopping by from Showstopper Saturday. Have a wonderful holiday weekend. Just made this lemonade and IT IS the best!!!!!!!!! Would it also be possible to substitute the Realemon juice with juice from squeezed lemons? I found it after long time. Your site is realy eye catching. back again. You can watch more exclusive videos here. A friend taught me to add coconut flavoring to my lemonade. No one ever knows what the hidden flavor is. It’s amazing! Love lemonade! Quick question though: I know the first 1/2 cup of lemon juice is from fresh squeezed lemons, is the 1 cup of juice listed as the last ingredient from bottled lemon juice? Thanks so much!